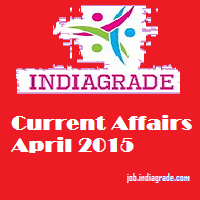 Current Affairs 6th April 2015: Today we update the current affairs on April 6th, 2015. This updates will help IBPS, UPSC, SSC preparation candidates lot. So if you are one studying for any competitive exams then you have to see daily current updates. Every year large number of candidates completed both under graduate and post graduate courses. After successfully completed their degree some of them interested to prepare for Government examination. In starting stages you don't know which topic to choose, Our indiagrade.com will guide you in right manor. Please like our Facebook social site to get the notification directly. Storms attack in Bangladesh 40 people dead and more than 50 people injured. Michael Bloomberg likely to appointed next mayor of London. Britain's Prince Harry to quit British army in June month. 100-year-old Japanese woman sets her own 1500-metre freestyle swim record. PM Narendra Modi launches air quality index for 10 cities. The index will be later expanded to 46 more cities having a population of more than 1 million and 20 state capitals. The Defence Minister Manohar Parrikar says all the Indians will be evacuated today from Yemen. Smriti Irani case: Fabindia manager gets anticipatory bail. The Rajasthan University cancels today's commerce paper after reports of paper leak. Gujarat's Vaidehi wins AITA title. Nearly 42.5% employees in private sector suffer from general anxiety disorders the Assocham Study report. Novak Djokovic beats Andy Murray to win fifth Miami Open title. 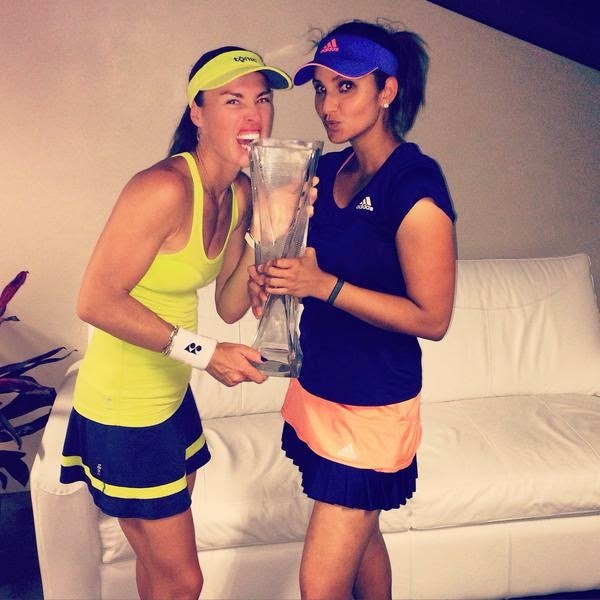 Sania Mirza-Martina Hingis win Miami Open title. They beat Ekaterina Makarova and Elena Vesnina by 7-5, 6-1 sets. IPL 8: Chennai MA Chidambaram Stadium ticket booking open. IPL: Narine's Bowling Action Cleared by BCCI. He will play for KKR in this IPL. Somdev Devvarman in Final Qualifying Round of US Clay Court Championship.